The streets come alive with the sound of fun, laughter and music every summer in the stunning coastal town of Cromer. 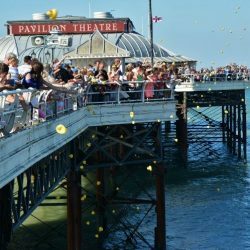 Enjoy a range of displays and activities at Cromer Carnival, which takes place from the 12th to 18th August 2017. The 700-year-old traditional event is a must-see if you’re exploring the beautiful North Norfolk coastline this summer. 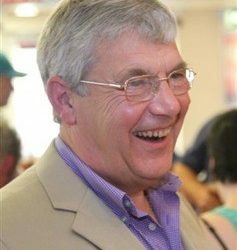 Tony Shipp, 73, from Cromer, has been the Chairman of the carnival committee since 1985. He plays a crucial role in organising the carnival, including chairing monthly meetings and networking. 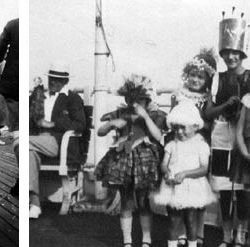 Set in a striking beachside town, the carnival has taken place on the beach and the pier over the years. The carnival is iconic to Cromer and is part of the local history, with annual week-long fairs going as far back as 1285. The carnival is still run by the CVEO and is just as popular with locals and tourists today. It appeals to all ages and has something for the whole family to enjoy, making it a well-known event in Norfolk. Cromer Carnival invites visitors to get involved in a range of exciting activities, offering fun for all throughout August. There’s plenty for visitors to choose from during the week, with over 80 different events taking place. In 2017, the Carnival begins on 12th August with a car boot, craft fair, dog show, dog agility, cake competition, car rally and a family evening of entertainment. This is only a taster of what’s to come, as there’s plenty to see and do throughout the week. It’s an unmissable and unique experience in beautiful surroundings. “Cromer Carnival has a special atmosphere which visitors always mention. We try to make everyone welcome. 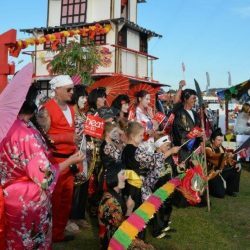 The great line-up is supported by a wide range of stalls and attractions on the showground. Some of them are hands-on displays from the emergency services, from the Royal National Lifeboat Institution to coast guard services. The entertainment doesn’t stop there either, continuing to sundown. Cromer Carnival takes place from Saturday 12th to Friday 18th August, while Carnival Day is always the third Wednesday in August. The entertainment programme for children starts at the beginning of August. Showground opening times are 9 pm to 5 pm on Saturday, Sunday, Monday, Tuesday and Wednesday. Admission on Saturday, Sunday and Monday is free, but visitors are asked to leave donations. On Tuesday, adult entry costs £5, while children under 16 accompanied by an adult go free. On Carnival Day, entry costs £7 for adults, £5 for senior citizens, £4 for children, or £18 for a family ticket (two adults and two children). The fireworks display takes place on Thursday 17th and is free, but visitors are asked to leave donations. There are a variety of food outlets on the showground and in the town itself. The North Norfolk District Council provide car spaces for disabled people on the top half of the car park. There are also spaces for disabled people in car parks around the town. Cromer is a half hour drive away from The Blakeney Cottage Company HQ.